Welcome to the United States Sports Academy! Sport has the power to unite people in local, national, and global communities. At the Academy, we are committed to helping our students become the leaders who will make the world a better place United by Sport. Your journey starts here. Our educational programs, rich 50-year history, and tradition of excellence are here to help you jump start your impact on the world. I invite you to spend some time looking around the Academy’s website.  I am confident you will find something that will interest you, whether you are a professional already working in sport, a student looking for a meaningful graduate program, or someone looking for an exciting new career. Take your first step and inquire about how we can help you be a force to unite people through sport. 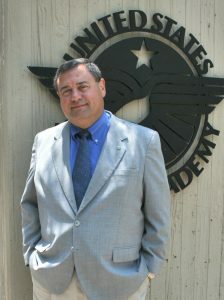 Dr. T.J. Rosandich has served the United States Sports Academy for more than 40 years and was named the Academy’s second president and chief executive officer in November 2015. Prior to being named president, he served as vice president and chief operating officer. In addition to serving as a faculty member and employee of the Academy for decades, he is also an alumnus, having received both his Master of Sports Science degree in Sports Management (1989) and his Doctor of Education Degree in Sports Management (1999). Rosandich was named the Academy’s 1994 Alumnus of the Year for his contributions to the institution, primarily through his work on behalf of the Academy in its international projects. He received a Distinguished Service Award in 2015 for his longtime service to the institution. Rosandich has extensive international experience, having served as general manager of Saudi American Sports, a sport services company in which the Academy had an ownership interest and that employed 120 coaches on contract to serve a variety of clients in the Kingdom of Saudi Arabia. Rosandich also served as advisor to the president of the General Organization for Youth and Sports in the Kingdom of Bahrain. He has also presented on a wide array of sports topics in some 20 countries around the world. Rosandich has served as a consultant on sports facility design and contributed to a textbook on the topic. With the rank of professor at the Academy, he has served as a member of the faculty in a wide array of sports management courses. Rosandich is a veteran, having served four years in the Army including a tour with the 101st Airborne as a paratrooper. As a youth, he was world ranked in the marathon and competed in track and field, both Nordic and alpine skiing and earned a third degree black belt in tae kwon do. An avid golfer, he is also involved in numerous sport, civic and social organizations both locally and abroad.